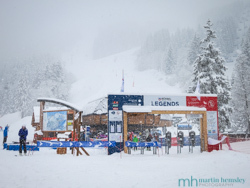 Hi everybody, right, let's get going with the first of several skiing blog posts this autumn in the lead up to the winter. 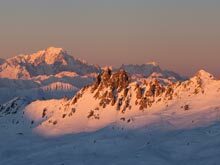 Although this post has a slightly odd title, my goal here is to help highlight four things that can influence your enjoyment of, and performance on, skis whatever your level: whether you are a beginner, intermediate, advanced skier, or just someone who loves cruising around the mountain. 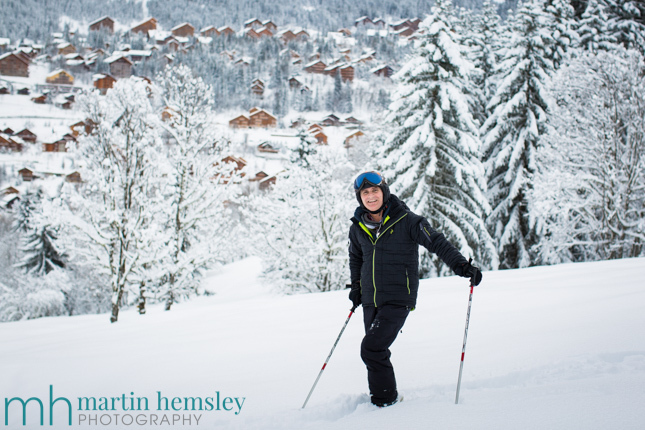 This post has been influenced by some recent skiing that I had, last weekend in fact! How come? There is no doubting that our physical state will influence our enjoyment and performance on skis during your skiing holiday. Fitness plays an important part in this, because let's face it, how often during our normal typical day are you stood on your feet, shuffling your balance between one foot and the other, and doing this all at high altitude? And this is what we are asking our bodies to do when we are on a skiing holiday. There is good news, because we can prepare for this in advance by doing specific physical fitness training. Building strength and stamina can really help our enjoyment and performance. How did I my body cope in Manchester physically last weekend? To be honest, I didn't have a great build-up to the session. In the summer I work as a wedding photographer, and the day before the BASI course I was shooting a wedding in Stratford-upon-Avon for almost 14 hours. It was a brilliant wedding, and I really enjoyed the day, but boy was I knackered afterwards. Coupled with the fact of having to get up at daft o'clock the next morning to drive 125 miles up the M6 to arrive for the course on time. Twinkle toes I was not for the first hour or so on snow. Did it affect my performance? Yes for sure, but probably no-one noticed other than me. Did it affect my enjoyment? No, it was amazing to be sliding on skis again. The drive home at the end of the day on the other hand, was much less fun !?! How can tactics affect our enjoyment and performance on skis I hear you ask? Let me give you an example. If a beginner skier is leaves the nursery slope just a little bit too early, their enjoyment and performance will more than likely suffer. 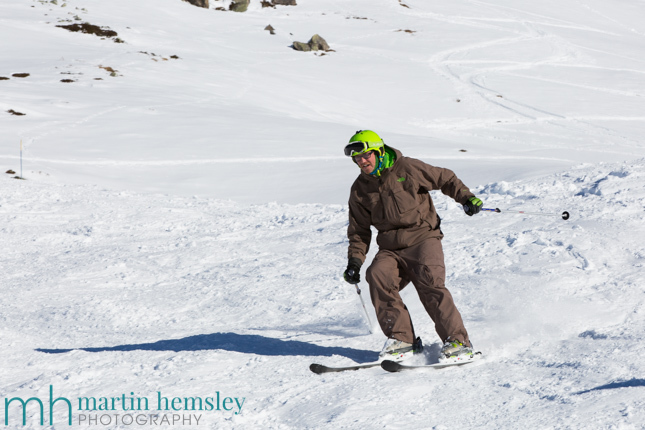 Even though the movements on skis are the same for a skier on a nursery slope and gentle green pistes, the skills required for a slightly steeper slope may not have become developed enough for the increase in gradient. 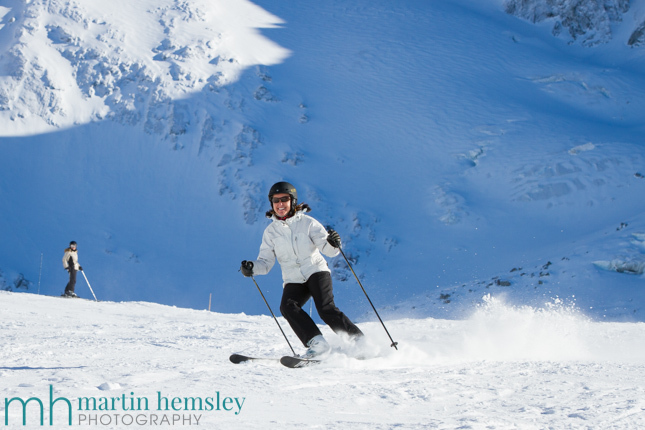 Over the course of each winter, I will often hear the following comments from clients - "My boyfriend/husband took me down a blue piste yesterday afternoon, he said I would be fine, but I fell over so many times and completely lost my confidence." The 'tactical' decision taken by their partner affected the other person's enjoyment and performance. How can we learn from this? I think having the awareness of the affect that tactical decisions can have will help. Be mindful of snow conditions, weather, and knowledge of the ski area when making decisions. Oh, big big area this. And I guess being a ski instructor I could rattle on for hours with this subject. However, I'll keep it simple. 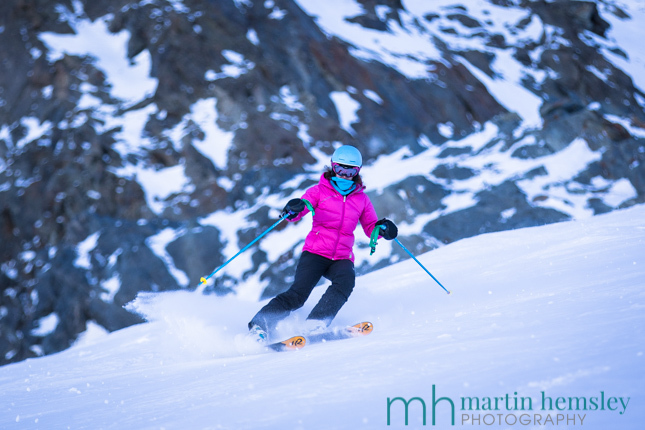 How can technique affect your enjoyment and performance on skis? Hugely is the answer, and I'm sure you will agree if you have read this article this far. Our technique will directly affect our performance, especially when conditions become more challenging. Also, our technique will affect our performance the steeper the slope gets, more so if you venture off-piste. Just a simple tweak of someone's balance on skis can make a huge difference. Let me give you an example, the photo of the chap above wearing navy blue kit is a good friend of mine, and a fellow highly-qualified ski instructor called 'Slippers' (nickname). Doesn't he look totally balanced? And now let's look at a guy I taught a couple of winters ago called Hamish. He is such a nice chap, and one of the funniest and positive people I have ever met. His balance looks a little more suspect doesn't it? Now you can sense the difference in performance, I can take this further. The photo of 'Slippers' was taken to the side of a steep black piste in Tignes, which was an awful lot steeper and trickier than the blue piste that Hamish was going down. I really hope that this isn't sounding negative, but just educational. 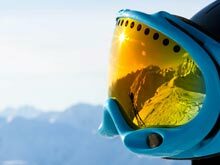 Improving technique (along with the other three things on this list) will without doubt improve a skier's performance. Does improved technique help with enjoyment? Good question, because hopefully everybody enjoys their skiing whatever their level. You could argue that Hamish pictured above is having great fun. But it didn't take long after this photograph for Hamish to say that he needed to stop skiing because his legs were exhausted and on fire (which could be avoided with better balance). Skiing with someone who has a trained eye can really help. Not only a trained eye, but someone who can think of effective tasks on how to develop a skier after an evaluation. Here goes for the fourth and final thing on the list, and something that I believe has the most effect on a skiers enjoyment and performance. Most sports have a psychological side to them, especially skiing. And I'm sure if you have skied before, you can probably think of something in this area that affected you. It could be poor visibilty (ie skiing in cloud), a conversation with a friend or a loved one, peer pressure.... the list goes on. Negative thoughts will instantly affect a skier's enjoyment and performance. On the other hand, positive thoughts will make you feel like a ski god. You could be revelling in the fact that the weather is gorgeous, the views are staggering, the snow is fantastic..... again this list goes on. So how can we deal with this if we have negative thoughts? Having the ability to recognise the fact we have a negative thought, and then use this recognition as a trigger to make a change in the right direction. Let me explain. 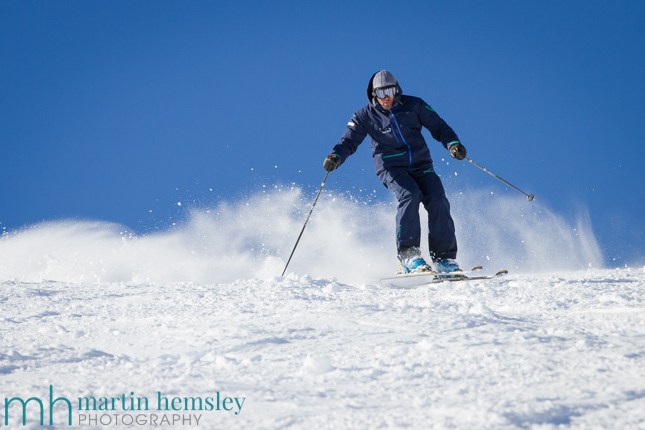 Last weekend in Manchester, after just two runs down the slope, we were asked by our BASI Trainer to ski down using 'White Pass Turns'. After a five month break from skiing, between the end of last ski season and this course, I would require quite a few warm-up runs to feel even vaguely comfy and normal on skis again. But here we were, after only about twenty turns, being asked to ski on only one of our skis (the inside ski, which of course is the wrong ski for balance). My brain was NOT happy; this was the last drill on earth that I wanted to do! So funnily enough my performance, and without doubt my enjoyment, was being affected by my grumpy brain. 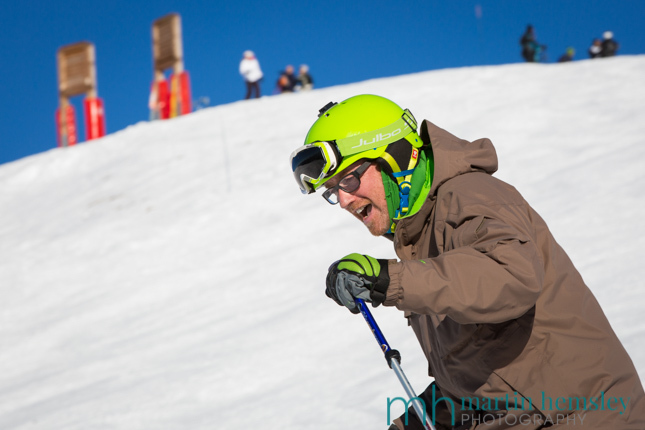 Even though I realised I had a psychological thing going on, it took several runs down the slope to perform this drill effectively. Talking to other skiers about their experiences will help you feel more normal, because sometimes you think it can be only you that is suffering. There are some people however who are particularly assertive in life and are less affected by their brain, loving a challenge. I admire this quality, but not all of us have this naturally. We can develop our mental state with patience, which in turn will help us enjoy and perform better and better on skis. Wow, I hope this article didn't get too theoretical? 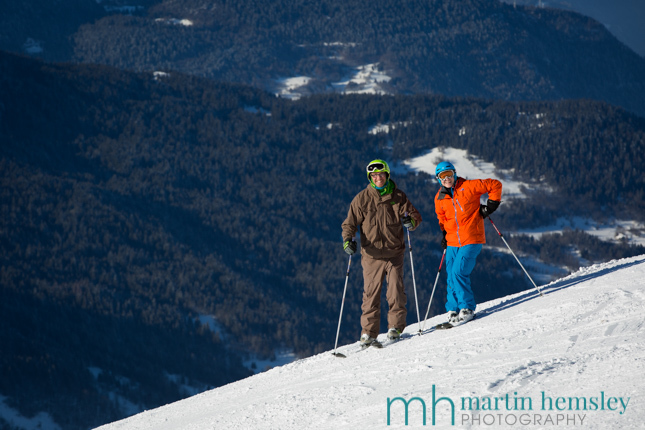 In summary, my goal was to try to highlight four things that can help you get more enjoyment and performance on your precious skiing holiday. 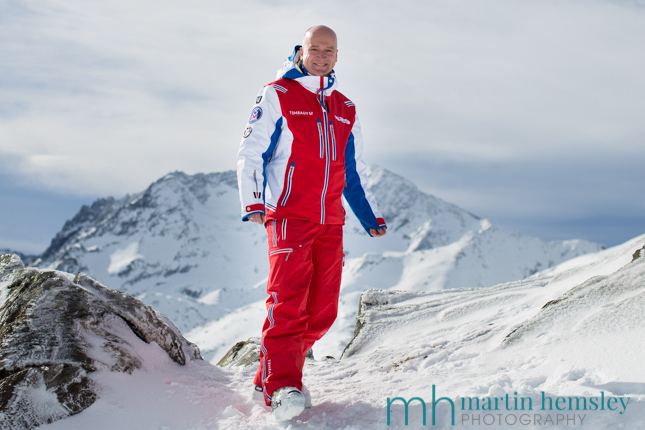 Just being aware of these four things - Physical, Tactical, Technical and Psychological - will now help you recognise any areas of improvement whatever level of skier you are. If you enjoyed this article, you might like to see another from last winter, click here for the link. Please feel free to share away on social media, or leave a comment below. Now we are in October, for some of us, our thoughts are gradually turning towards the winter, if so, good luck with the ski holiday planning, and keep up with the fitness training. See you back in a couple of weeks for another article, which will be much less theoretical by the way. Martin.